Quickshifters are becoming more common but using the clutch can put less strain on your gearbox. Don’t rush your changes. Make a positive movement and on downchanges try to feel for the next gear. Each time you go out on a decent ride you change gear hundreds of times, so it makes sense to do it as efficiently as possible. The best way to learn to use a gearbox is to ride a low power 125 on which you will have to work the gearbox efficiently to make any respectable progress. The best gear to use will depend partly on your speed but also what you are approaching. For example, when planning an overtake, a responsive (in other words, lower) gear will give you the power and control to complete a pass quickly and safely. Likewise, when entering a bend a responsive gear will give you good control through the throttle to fine tune your speed as you negotiate the corner and provide acceleration on the exit. Do not, however, use your gears as brakes. Crashing down through the gears on the approach to a hazard is a very crude way to slow and is harsh on the engine and transmission. Instead, slow on the approach by braking or rolling off the throttle and then choose a flexible gear to negotiate the situation ahead. 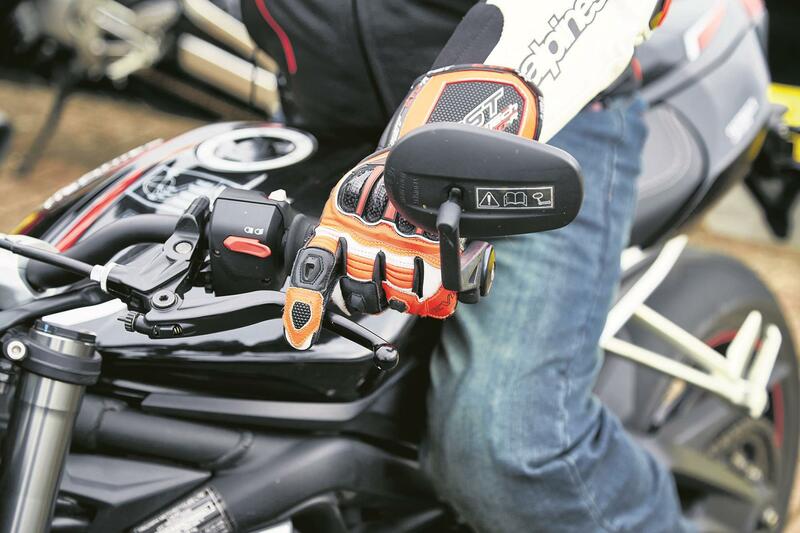 A flexible gear is one in the middle of your rev range that allows you control through the throttle to moderate the speed selected or to accelerate further. Most large-capacity machines nowadays have such flexible and powerful engines that they are still very usable in the higher gears for normal riding. Selecting a higher gear where possible will reduce your fuel consumption and will have the added benefit of giving a smoother ride into the bargain. When riding with a pillion do you ever get head butted by your passenger as you change gear? Try changing up early to smooth the transition from one gear to the next. Also, when riding on a wet road changing up early will keep power inputs smooth and enhance the smoothness and security of your progress. When downshifting through the box, maintain your throttle position or blip the throttle slightly to drop the gear in smoothly and prevent any transmission lurch as the lower gear engages. Gear indicators are a common feature now on bikes and useful for both new and experienced riders as a quick double check and will also prevent you searching for seventh gear! Quickshifters are becoming more common but using the clutch can put less strain on your gearbox. Don’t rush your changes. Make a positive movement and on downchanges try to feel for the next gear.